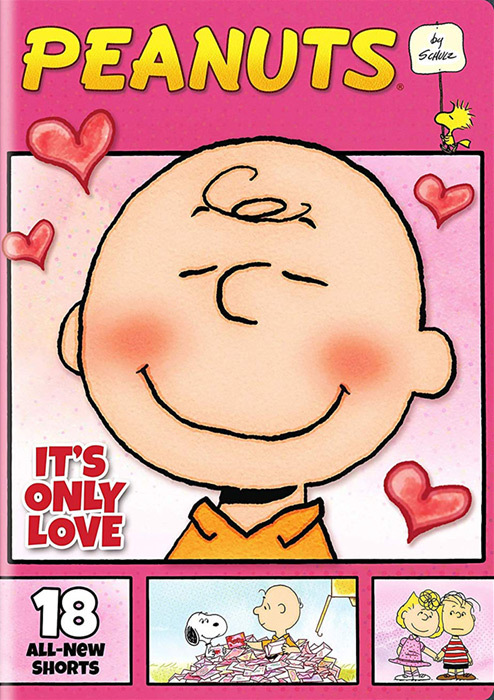 Readers will recall that back in 2016, the Boomerang channel aired 104 shorts based directly on Peanuts comic strips, each about 6-7 minutes long. In 2017, Warner Home Video released three Peanuts by Schulz DVDs that compiled those shorts. Between them, the DVDs contained 80 of the 104 shorts. The last DVD went on sale in October 2017... and for 15 months, there have been no further releases, leaving 24 shorts unreleased on DVD. 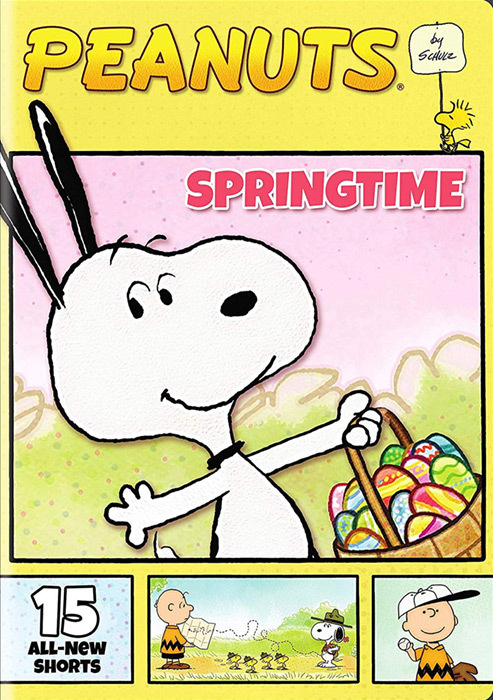 The good news: Warner has released a fourth Peanuts by Schulz DVD, and a fifth is on the horizon. The bad news: We may still not get the shorts on DVD, even so. The problem is... that's false. Only 10 of the shorts on the disc are new. Eight are repeats, already released on the previous DVDs. That makes Peanuts by Schulz: It's Only Love a pretty poor value, even at the normal sale price of $9.99, and it leaves 14 Boomerang shorts unreleased. Memo to Warner Brothers: it's not that hard to keep track of which shorts you've already released, and you shouldn't be making fans buy repeats just to get some new ones. In fact, in another apparent attempt to confuse or mislead consumers, Warner has now added a fifth digital collection, matching the It's Only Love DVD, even though it just repeats shorts that are already in the other digital collections. Sheesh!